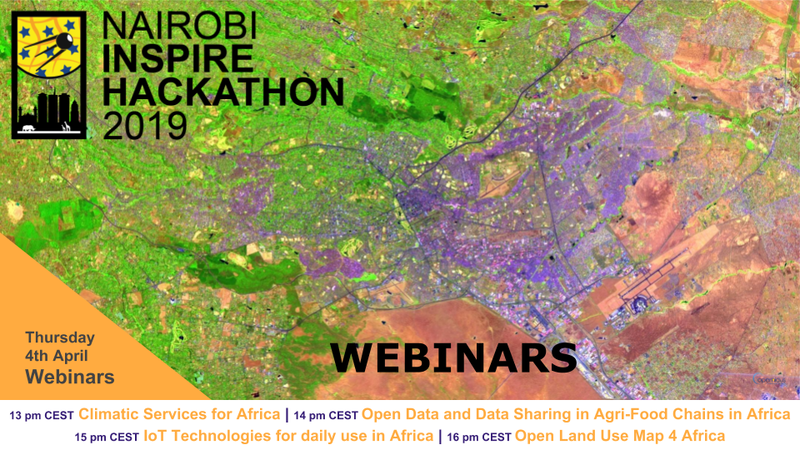 Last 3 webinars dedicated to 3 teams from the Nairobi INSPIRE Hackathon 2019. These webinars are scheduled for Monday 8th April 2019 and below you can find the overview and more details. The African region is in a process of transformation and an agriculture innovation hub is a potential solution that can support sustainable intensification in agriculture in Africa. An innovation Hub is a place, where people can meet and share their knowledge. It is mainly about people and we need to build a community that are be able share knowledge. In this webinar there will be a discussion about how to build a social space – an innovation hub for agriculture, how to develop and collect relevant content, and finally, but perhaps the most important; how to attract people. The starting point will be to discuss how to transfer experience from the European SmartAgriHub project to build an equivalent tailored solution for Africa. People from Universities, Research Organisation, scientific centres, agriculture food industry, farmers, forest owners, and IT developers. In this webinar we will discuss how Earth observation can support food security in Africa. Since new Earth observation technologies are being developed and we see a continuedl growing population on global scale, it is necessary to solve problems related to a sustainable intensification of the farming sector in Africa. The main question we address in this webinar is if African farmers can directly benefit from Earth Observation. A view to how this impact different level of decisions has to be included. Governments, industry, researchers, all actors along the food chain, need to be involved to support uptake of Earth observations in the African farming sector. People dealing with GEOSS or Copernicus for African activities, providers of Satellite data, people with experiences with utilisation of Earth observation in African Agriculture. Participants in the Nairobi INSPIRE hackathon. Citizen Science in Africa to ground truth & exploit Earth Observation data – from challenge to fundable ideas. Africa is arguably most in need of innovative solutions to address challenges related to climate change, water management, land use, population growth etc. In principle, there is great potential for citizen scientists – or the wider public – to validate what satellites observe or to put those images to use. The combination of Citizen Science and Earth Observation can provide powerful new data, insights, knowledge and understanding to identify and manage these challenges at various scales. In practice, the implementation of such ideas is faced by social, scientific, technical and economic challenges. This webinar kick starts Theme 8 of the Nairobi INSPIRE HACKATHON, explore these challenges and start brainstorming in order to develop fundable ideas. CSOs, Earth observation focused SMEs, research and academia, young professionals & Citizen Science enthusiasts, Earth Observation specialists, thematic experts (e.g. water security, food security, health, ecosystem. In principle, there is great potential for citizen scientists – or the wider public – to validate what satellites observe or to put those images to use. In practice, the implementation of such ideas is faced by social, scientific, technical and economic challenges. 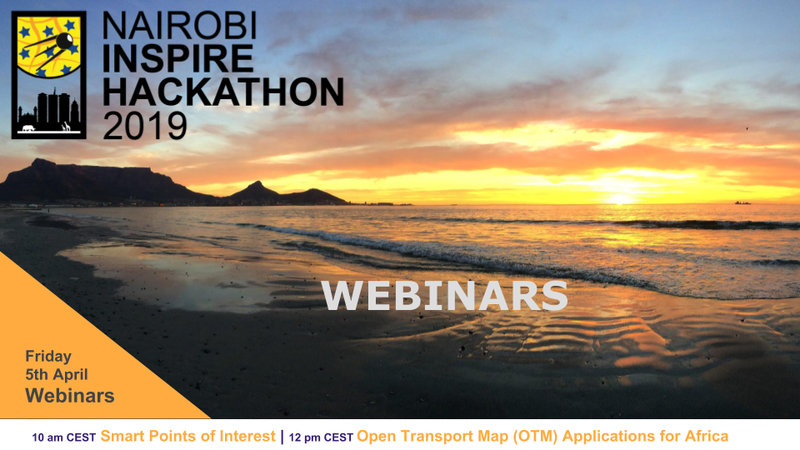 There are 2 webinars dedicated to 2 teams from the Nairobi INSPIRE Hackathon 2019. These webinars are scheduled for Friday 5th April 2019 and below you can find the overview and more details. Geo- (or spatial) Linked Open Data and questions related to its development, maintenance, collection, publication and implementation. The webinar is focused on the introduction of the dataset Smart Points of Interest (SPOI). During the webinar the structure of SPOI, data model, existing applications and plans for the hackathon are described. There is many various heterogeneous data sets collected by different organizations. But these datasets are not shared and combined with other data and therefore their exploitation is very limited. To publish and use LOD enable to unlock the potential of data on the Web. SPOI is great opportunity to publish and use 5-star Linked Open Data, including all benefits of this approach. 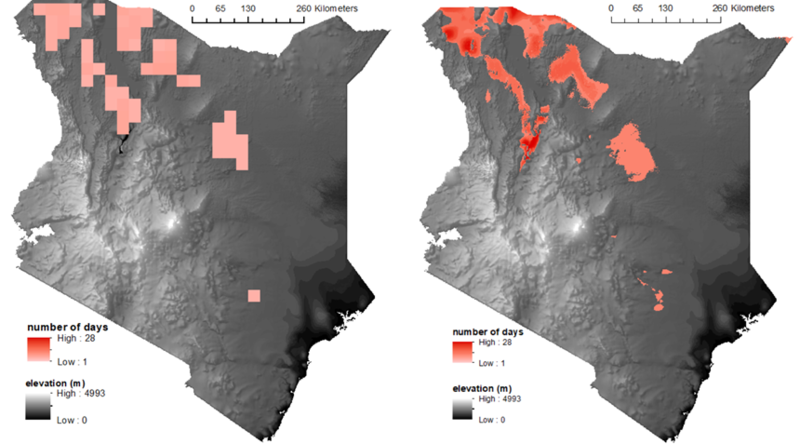 To publish selected spatial open data from Kenya and/or other African countries as 5-star Linked Open Data (LOD). Data sets will be transformed and integrated to Smart Points of Interest (SPOI) data model, which represent the universal exchange approach to publish spatial point based data in RDF format according to the LOD principles. To think about a design of applications and services used SPOI. The webinar is designed for individuals and organization which are able to add and update SPOI, for example regional authorities, universities, tourism providers, etc. as well as for those, who want to use SPOI data for their own purposes (applications and services developers). Traffic efficiency is the main goal of any larger city that wants to grow in a sustainable way. Traffic modelling is usually a domain of robust desktop application which makes it inaccessible and slow. Traffic is dynamic, public decision making should be too. In this webinar the current status of the Traffic Modeller will be presented together with some ideas on how to develop a web traffic modeling app (based on server implementation of the Traffic Modeller) using open source spatial data. People interested in our idea that would like to help us prepare input data. Ideally with background in GIS, IT or traffic modeling. Organizations and people interested in GIS traffic modeling and smart cities. Those interested in GIS or traffic modelling. There are 4 webinars dedicated to 4 teams from the Nairobi INSPIRE Hackathon 2019. These webinars are scheduled for Thursday 4th April 2019 and below you can find the overview and more details. In this webinar you will learn about the potential of Earth observations and meteorological data analysis in agriculture. Two designed use cases (categorization of an area of interest according to suitability to produce a particular crop, early insect pest threat warning) will be described and the attendees will be invited to brainstorm ideas and plan further work in the team. African, European and other agronomy experts, meteorologists, (G)IT developers. Participants in the Nairobi INSPIRE Hackathon 2019. This webinar addresses the issue of open data sharing related to Agri-Food Chains, with focus in Africa. There is a growing interest in improving data sharing in agri-food sector, in order to fully realise an era of digital farming, as evidenced by the Code of Conduct on agricultural data sharing signed in in Brussels on April 2018. 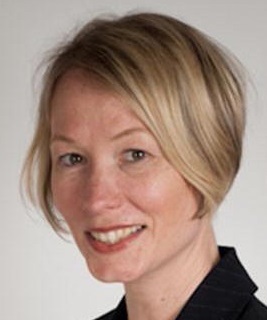 Additionally, there are many other recent initiatives in other domains to foster data sharing and reuse, such as the FAIR principles that although it is focused on research data, some of its principles may also apply in the agri-food sector. Access to accurate agricultural data is vital to develop digital farming and to support farmers and cooperatives to produce more using less resources explore available data sources and data sharing practices between different stakeholders in the agri-food chain (farmers, service providers, advisors, food industry, machinery producers, etc.). This includes data catalogues, standards and data models that would work in Africa. An important step is to explore available data sources and data sharing practices between different stakeholders in the agri-food chain (farmers, service providers, advisors, food industry, machinery producers, etc.). This includes data catalogues, standards and data models that would work in Africa. Data providers, data producers, data integrators, service providers in agri-food sector, policy makers. Also, farmers, agri-businesses, agri-cooperatives. So they can all share their point of view. The webinar is focused on the presentation of existing solution for sensor data management – SensLog and experiences of sensor datasets integration from different sources. There is a lot of sensor data producers that are publishing data in various formats using proprietary or some sort of standardized interfaces. There are growing modern low power networks that allow connectivity for a variety of systems. IoT and sensors are domains that become very important in the coming years. Sensor data are used in a wide range of domains. This webinar is the starting point of making an overview of technologies, exchange formats for sensor data available in the region and to make a research on available datasets from the region. Presentations of experience from previous research and innovation projects in the field of sensor data management, integration of sensor datasets from different sources, publishing of sensor data by various standards, will help starting to evolve the idea about sensor data catalogue. This webinar is intended for organizations, researcher and experts working with sensor data and IoT technologies. They can be sensor data producers as well as sensor data consumer. Sensor data producers / consumers. Communication service providers. In this webinar you will learn about how to improving land use planning in communities. Territorial planning and land use is a global challenge, but for Africa, in the light of increasing deforestation, desertification, increasing population – the problem areas of sustainable management of land and resources is quite crucial.The webinar will discuss how to address the problem of poor land planning and thus all the consequences that it causes: deforestation, uncontrolled urban growth, overgrazing, soil erosion etc. There will be presentations of ideas for solutions that includes providing communities with workflows, data and tools to help spatial planning with engagement of all interested parties (authorities and citizens) – participatory land use planning. In particular the use of Earth observation data complimented with crowdsourced data to provide high quality data about land use, land cover and natural resources to communities and then provide them some workflows (methodology) and tools (web/mobile application) is thought to enable community members of various background and roles to discuss and create spatial plan for their community together. Land use/urban planners, authorities, interested citizens (activists and others), who have GIS related (remote sensing, GIS) or IT – related education be it user experience or web design, data science, web programming etc. ).